This week, we will be sharing a series of blog articles as part of our Equality and Diversity Week., an initiative that we undertake each year to promote a range of equality-related topics. In this first article we outline what it’s like to work at the Assembly. We strive to be an inclusive employer that supports the needs of everyone that works here. We have a number of teams, policies and procedures in place to ensure that our staff are supported, can be themselves and fulfil their potential. We think a good way to tell you more about what we do, is to let some of our staff tell you themselves. Being supported, being themselves and fulfilling their potential. “The continued support of the Health and Safety Team has made it easier for me to come to work”. “I am now using the ergonomic chair, which I find is having an amazing impact on my back and spine…the whole of my back feels ‘stronger’ since using the chair”. Christian Webb who came to the Assembly as part of Stonewall Cymru’s Work Placement Scheme. The scheme seeks to give young people the experience of working in LGBT friendly workplaces. Read his full blog here. 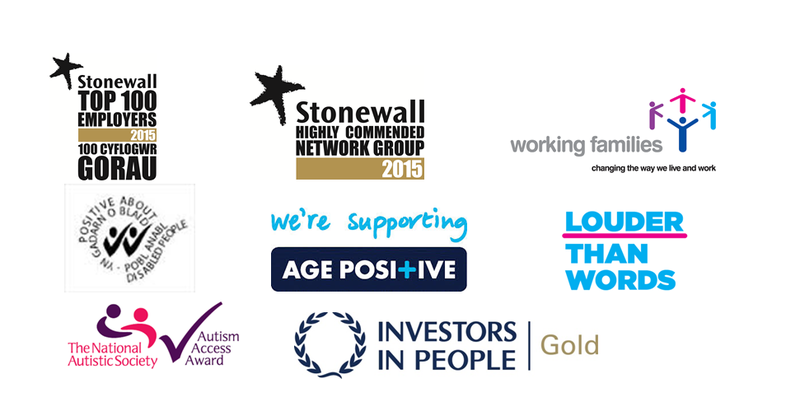 We retained our Investors in People Gold Standard. To find out more about working for the Assembly visit our webpage.